I have just used your marmalade recipe using my farily new pressure cooker, all I can say is thank you, it’s great, there was just a little left in the pan so I have it on toast for lunch, yum 👅. Great recipe, works a treat – I can thoroughly recommend it! I made the marmalade with the last Seville oranges I could get hold of in London late in February. I followed the recipe to the letter and the end result was magnificent. As always, a bit fiddly the first time (never made marmalade before) but next time it would be a lot easier. I used a jelly bag and stand to strain the cold liquid – as I had one, I thought I might as well get my money’s worth – and it was brilliant, really easy. I was very apprehensive but it was all straightforward and the set was perfect (it did look liquid on going in to the pots but it was hot at that stage and that’s normal – but as a novice, I still wasn’t sure). I’m not a marmalade eater but the 100 per cent positive feedback comes from my partner, neighbours, family and other friends who tried it. They all raved about it. You’re very welcome! I’m glad they all enjoyed it and you found it easy to follow! I have just used this recipe in my new 3litre stove top pressure cooker. 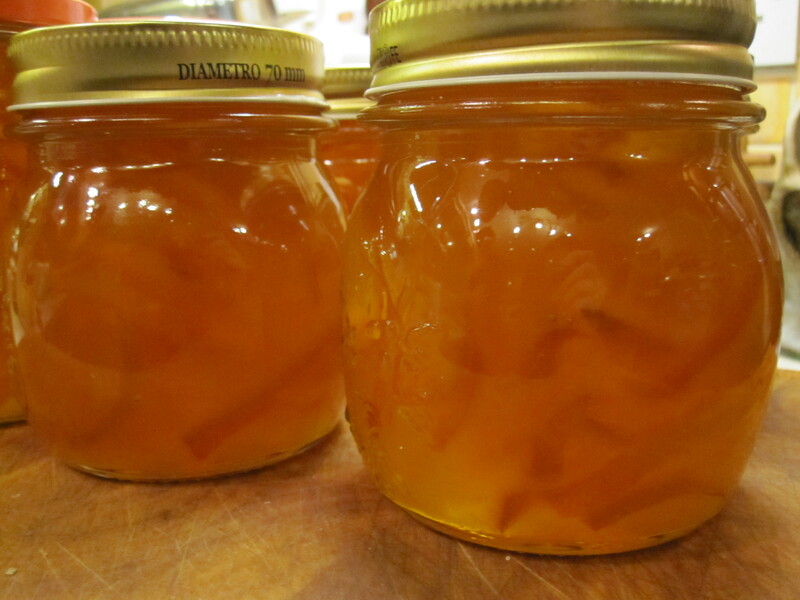 I halved the amounts and now have two x 250 jars of wonderful thick cut marmalade. The oranges were supermarket ones from south africa. This recipe was so easy and quick! Thank you. Wonderful recipe! I made half the amount in my 3ltr pressure cooker. It took half hour to reach setting point but I think it was because I used standard sweet oranges, not seville. The preparation is easy and quick. Thanks to your mum! Amazing recipe, quick and easy. Thank you!